Crafter's Companion just came out with this new Sheena Douglass stamp collection called A Little Scenic. They are really cool stamps. I used two stamps from the Provence set to make this card. I stamped out the cafe scene and then the bicycle and colored them. Next I fussy cut the bike out. I layered some yellow card stock under the colored image. I stamped out my sentiment from the Close to My Heart stamps set that I bought from my friend, Kelly Massman. If you need stuff from Close to My Heart please buy them from her!!! May has been pretty crazy and the end of the month is no different. There are so many end of school activities/events that I have barely been able to stop to take a breath. Last day of school is next week on Thursday. Kids are all out at 11:30am!! I used a photo from our trip to China to adopt our daughter. I've had this paper from Nikki Sivils for awhile. I've been "saving" it! lol Why do we save paper? I love the colors in this paper. It just makes me happy so it was perfect for this special layout. I started with a sketch challenge from Stuck on You Sketches. I love how the circle (flower) is split on the layout! I had a hard time finding flowers in my stash to match so I ended up taking a white flower and spraying the heck out of it with Sun Sisters Glimmer Mist. I'm happy with how the layout turned out and I'm entering it in their challenge. And I'm entering it over at Secret Crafter Saturday Challenge - Anything but a Card. I also want to share a card I made using a new stamp set from Crafter's Companion called Meadow Cottage Bears-Happy Birthday. This bear was fun to color. There was so much room to do shading and blending with my Spectrum Noir markers. I made this birthday card for my daughter's friend who has her birthday party this weekend. I know she will love getting this cuddly bear card. Well this is probably enough for today. Don't forget to stop by tomorrow when I will announce the winners of my blogiversary giveaway and of the Crafter's Companion Customer Appreciation Giveaway. See you then!! Happy Memorial Day! Stacy here today with a little Monday Inspiration. I thought I would share a card I made yesterday. I am always attracted to new scrap goodies. Aren't you too? I think one of the reason's why we are so attracted is because of the beautiful packaging. I find myself using up my new scrap items and what's left when I am done? The gorgeous packaging is what is left behind! I decided to make a card and use this packaging as the matting for the colored image. My mother actually colored this image when she came to visit me recently. Didn't she do an awesome job!? It is the Paintbox Poppets EZMount Stamp - With Love. This is such a sweetly romantic image. I took her colored image and I die cut it out. The packaging was a bit long and I didn't want to show the writing from the company so I cut out that section. I just turned it over and taped the edges together. I pulled out from my stash some complimentary ribbon tape and used it in three ways. The first way was to cover the cut edge on the front of the packaging. Second, I made a bow by peeling back the paper on the back a bit to give me a little bit of "sticky" and sticking it down in the middle. Then doing the same from the other direction. And then I glued down a button in the middle. And the third way I used this ribbon tape was to cut 3 strips of it and evenly layer them in the middle of the card base. I added the colored image to the middle of the front of the packaging. And then glued my "bow" on the corner. I added some wired ribbon through the slot on the top of the packaging. I wanted to have some extra dimension so I used some double sided adhesive squares on the back of the packaging and adhered it to the card base. Finally I stamped a tiny sentiment in the corner of the colored image. And voila....here is my card. What do you think? Has it inspired you to go searching through your trash can in your scrap room?! lol It certainly makes me look at my "trash" differently. Thanks for stopping by and checking out my project. Be sure to join in on all of the Crafter's Companion Customer Appreciation giveaways this month. The end of the month is fast approaching and you don't want to miss out on any chance to win. There is a link on the upper right sidebar to the giveaway on this blog. Check it out before you leave. And while you are here check out my Blogiversary Giveaway too. Link on the sidebar also. And finally I hope that you take a little time today to give thanks to the men and women who have died saving our country. Happy Memorial Day weekend!! We have just been taking it easy around my house this weekend. Today I was lucky enough to get to scrap ALL DAY! 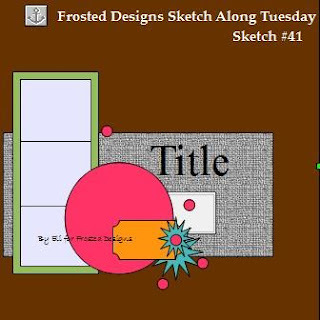 My bff, Denise, and I decided to scrap two sketch layout challenges together. Well sort of together...she scrapped in So. Ca and I scrapped in NV. Denise picked out the sketch challenges at The Paper Variety and at Got Sketch? I'm going to show you the layout I made with the Paper Variety sketch first. Okay...you're back? (ha) Well...bright enough for you?? 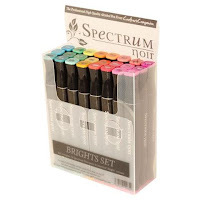 I started by pulling out some white card stock and misting it with water then I pulled out the gorgeous brightly colored Dylusions ink sprays. I used Fresh Lime, Lemon Zest, Postbox Red, Bubblegum Pink and Squeezed Orange. I'm just so in love with all these fresh bright colors! After letting my paper dry, I pulled out some papers from S.E.I. and picked out and trimmed the papers that worked best. I trimmed out a journaling tag and stitched one of my paper strips. I finished up by pulling out some chipboard letters and stickers from my stash for the title and subtitle. I added a bright orange flower and some bright green stick pins. Voila....done. I'm obviously entering it over at Paper Variety and just to be matchy matchy with Denise, I am entering it at Secret Crafter Saturday Challenge - Anything but a Card. And I am also joining in on the Misting challenge #68 at Scrapfit. Next, I want to show you the layout I made using the sketch challenge from Got Sketch?. I had fun with this one too. I pulled out a paper kit of Cosmo Cricket goodies. Since this sketch used so many different layers of paper, I figured it would be smart to start off with a paper collection that went together. I layered and cut and layered some more. I pulled out a Martha Stewart edge punch and punched. I found fun goodies in my stash to use, ribbon, flower and brads. I typed up my journaling in Word and then printed it out on some matching patterned paper. I thought I was done but it just didn't seem quite right. After I showed it to my hubby, he agreed with me that the photos I was using were too small. So, I decided to print them out a little bigger and matted them with red paper to make them pop a bit more. And then finally I was done. I really like how this layout turned out. What do you think? I'm entering this layout at Got Sketch? While you are here visiting you should make sure to join in on my blogiversary giveaway HERE. And I also have a Customer Appreciation Giveaway from Crafter's Companion HERE. Two ways to possibly win just by stopping by and entering! I will have more to share so check back soon. I was feeling scrappy today and I got out some of the photos from my daughter's 4th grade field trip to Carson City and got busy! I had some luscious papers from Glitz Design - Afternoon Muse. These papers are just so dreamy and romantic I LOVE THEM! I printed out the cool sketch #41 challenge from Frosted Design. I like to start with a sketch challenge when I get a chance. Plus I'm been so busy that I haven't really gotten to do any fun challenges lately. I'm also going to enter it in Wifey Cookie's "F is for Flower" challenge on Sketches4all and in the Flower challenge at Scrap it Girl. And of course I had to enter it in the Glitz Design May challenge which is to honor the women in your life. I've been doing a class at Big Picture Classes and one of their class challenges is to use photo strips as a design element. That is kind of what I was trying to do with my photos on this layout. There was also a challenge to use letters "large and small" and I did that on here too. I pulled some flowers, rub on's, brads, ribbon, a doily and vellum quotes from my stash to finish it out. And I don't want to forget to mention the Crystal Stickles!! Love me some sparkle. I love doing layouts. I wish there were more hours in the day so I could make more of them! I had time to make a couple of cards and a gift box with a gift card holder too but these are DT projects that I can't post yet. You will be seeing them soon!! There is also the Crafter's Companion May Customer Appreciation Giveaway Week 4 going on right now too. Sign up for that while you are here too and pass the word along! ENTER HERE. There is an awesome candy over at ArtyScrappy!! Actually there are 3 candies being given away!! Go check it out!! Winner of Week 3 Customer Appreciation Giveaway! The winner of Week 3 for the Customer Appreciation Boxer and Envelobox Creator Bundle with Advanced Techniques DVD Giveaway is Cheryl Caldwell-Nyboer ! I love it either way!! Great frame!! You have until May 31st to send your information. After that date you will forfeit your prize. Thanks to all who joined in! Remember if you didn't win this time there are still plenty of chances to win this month. There is a new giveaway going on right now! Swing By and Maybe Win Something! Hi there everyone!! Today I have a sweet Humphrey's Corner card that I made to share with you. I used the stamp set - Swinging By which features Humphrey's little sister, Lottie. I love this stamp set!! It is just precious. I stamped her out on Ultra Smooth Premium White Card stock with my Tuxedo Black Memento ink. Then I colored her with my Spectrum Noir markers. I wanted to add a "tree" to the top, so I just drew on some greenery and colored them in with my markers. After coloring the image, I cut it out in a simple rectangle and layered it on some of the papers I had chosen for my project. I grabbed one sheet of double sided paper and cut two strips. I used a Martha Stewart edge punch down one long side of each strip. Then I layered them on my base card. I thought a pinwheel would be a fun addition to the card so I started with a 2 1/2" x 2 1/2" piece of double-sided paper. Then I folded it in half from corner to corner. Then opened it and folded it in half the opposite way. Crossing over the previously folded line. Then I opened it up and marked the center where the two lines cross with a pencil mark (you don't have to mark it if you can just see where they cross). Next I took my scissors and cut in from each corner almost to the center but not quite. Don't get too close or it will rip too easily. Then, going in one direction, take each corner point and fold it (roll gently) toward the pencil mark. 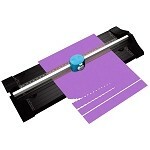 Adhere the corner point to the pencil mark area with a glue dot or a strong adhesive. Go all the way around the square, folding in the corner points. Be sure to go in one direction. This is what it should look like when you are finished. You can add a button or bling to the center if you want. After I made my pinwheel, I glued a button to the center and then added it to my card. I stamped the sentiments out on Ultra Smooth Premium White Card stock and layered them on complimentary papers. There were two sentiments, one for the outside of the card and one for the inside of the card. I hope you were inspired to create something today. Now let's start off WEEK 4 of the Crafter's Companion Customer Appreciation Giveaway Month!! 1. Be a US Resident. 2. Be a Follower of the Crafter's Companion Informational Blog. 3. Be a Follower of the Crafter's Companion USA Challenge Blog. 4. Leave a comment on this post by Thursday, May 31st at 8pm PST. 5. Send a friend to follow us. Have them mention you when they leave a comment and I will throw your name in the hat for another chance to win! Each friend you send gives you one more chance to win!! Now, don't you want to win it?!? 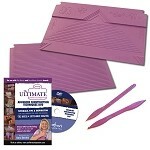 We are still giving away an Ultimate Tool EVERY DAY in the online store site to a person who purchases something! WOO HOO! AND we are also still going to giveaway something each week on all our Design Team's personal blogs as well. (this includes the CC Informational Blog and the CC Challenge Blog DT also!!) You can find the names and links to our Design Teams on the CC Blog and the CC Challenge blog sidebars. And don't forget the Crafter's Companion Informational Blog and the Crafter's Companion Challenge blog....yep...giveaways there too!! So many ways to win. What are you waiting for!? Hey, don't forget to stop back by tomorrow to see if you have won the prize for Week 3! What?! You haven't signed up for the Week 3 Giveaway yet???! Well go HERE and enter!! Then come back tomorrow and see if you win!! Candy has Candy!!! Candy at Candy's Craft Corner has a wonderful blogiversary candy that she is giving away right now. Go check out her blog and give her some love!! The winner of Week 2 for the Customer Appreciation Rockablocks and Stamp set Giveaway is Kelly Massman! You have until May 22nd to send your information. After that date you will forfeit your prize. Do you believe in fairies? New Giveaway!!! Hello everyone! Today I am going to share a wall hanging that I made for my dear daughter. My daughter loves fairies and Crafter's Companion has that most beautiful Fairyopolis Fairies! I had an unfinished wooden frame that has just been sitting in my craft room waiting for me to turn it into something good. Well, I hope I have done it justice today. I started by lightly sanding the frame. This just gets a little tooth up for the paint to attach to so that it will stay on the frame. Next I pulled out some green acrylic paint and painted the frame. While it was still wet I pulled out some white glue and painted it on top of the slightly dried (still wet) paint. Then I let it dry. I pulled out my hot air gun hoping to cause the paint/glue mixture to crackle (which it has done every other time I have done this) but this time that didn't work. So I just set it aside...for a couple of days....lol And started working on another project. Then when I finally went to put it away, I realized that I really loved the way it looked! It looked almost encaustic-like. Encaustic art is all the rage right now. If you don't already know, encaustic art is art made with pigmented wax. On my frame, the glue on top of the paint had dried to an almost waxy translucent texture. It looked pretty cool!! 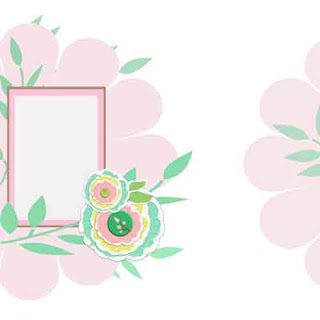 The card making kit has decoupage sheets, rubons, stickers, card bases, envelopes, gems, flowers, etc etc... Really it just seems to go on and on. I started by pulling out the decoupage sheets. I picked two fairies that I thought would work and got busy layering them. Then I took out the cardboard square from the photo area of the frame and covered it with a piece of one of the card bases that I just trimmed to fit and then adhered to the cardboard square. I then inked the edges and put it back in the frame. I pulled out a piece of paper from my 12" x 12" Fairyopolis paper pack, then I rubbed on a saying and die cut it out. I added a butterfly rubon and then inked the edges of my paper and adhered it to the center of the photo area. I glued down the two decoupaged fairies. Then I added a grouping of flowers to the corner. After I did that I thought it looked unbalanced so I pulled out my rubon's and found the perfect fairy and butterfly to add. Finally I added a little Crystal Stickles for sparkle and a bit of ribbon as a hanger. And then I looked at it some more and realized I didn't like the decoupaged fairies on it. Seemed like too much so....I took them back off. What do you think? On or Off?? I'm entering it in Cheryl's May Altered Challenge at Sketches4all. Okay, you have suffered enough....now are you ready for me to start the Week 3 Customer Appreciation giveaway!?!? This giveaway starts today, May 15th and ends on Tuesday May 22nd at 8pm PST. 1. You must be a US Resident to enter to win. 5. and you must leave a comment on this post. 6. And link back from your blog. You can either put this giveway on your sidebar or post about the giveaway. If you send a friend and they mention your name, I will enter your name in the drawing again for each friend you send! So send your friends!! The winner will be announced on Wednesday, May 23rd. So don't forget to stop back by to see if you have won! Now...want to know what you can win here this week????!! How about - The Boxer and Envelobox Creator Bundle with Advanced Techniques DVD! Woo Hoo!! This is a great prize. I can't even tell you how much I love this DVD alone and you get it AND the Boxer and Envelobox Creator!! If you have an Ultimate Tool this will be a fabulous addition. But you don't have to have the Ultimate Tool to make a million wonderful projects with these items. You still have until 8pm PST today to enter the Week 2 Ultimate Tool giveaway on the Crafter's Companion Info Blog so if you haven't already joined in go HERE and enter!! The Challenge blog giveaway ends at the same time so you can go HERE to enter that challenge. And all the DT are each giving away a weekly prize. You can find a link to their blogs on the sidebar of the CC Info and CC Challenge blogs. And don't miss my Week 2 Giveaway while you are here. Click Here to enter. Don't miss out on any of these awesome giveaways!! And remember I am having a Blogiversary Giveaway right now too (open to everyone) and you could win Spectrum Noir Alcohol Markers - the Brights 24 Piece Set! Just Scroll Down to enter. Or click HERE. My son's lacrosse team WON their first game ever!!!!!!!! And it was the final game of the season. What a way to end the season! We were all so excited and proud. These boys are brand spanking new to the sport and it is the first year their middle school has had a lacrosse team. The first year they weren't expected to win at all so for them to tie one game and win another is fabulous!! WOO HOO!! So super proud. Friday was Parent Involvement Day for my two younger kids. Each of their classes had a party at school. We went and at the first party we made finger print flowers and play dough. They kids really had fun at this party. Here we are at Riley's party. We had a really nice morning going to both parties. The kids were really tired after we finished up and my son who doesn't nap actually fell asleep in the car while we were waiting to pick up the older kids from school. I had a great Mother's day. My kids gave me orders that I had to stay in bed until 10am. But I woke up earlier than that an tried to come out of my bedroom but they had a fit because they were trying to make me breakfast in bed. I went back to my room but just couldn't stay in there and wait so I decided to go outside to drink my coffee. They brought me breakfast and we ate outside. It was a lovely morning and the kids were so proud of themselves. After we ate they all got their swimsuits on and went swimming. All day they were trying to "take me out" so finally in the afternoon I caved in and took them (they "took me") out to eat and shopping. We had a nice time. It was kind of funny because all I asked for was for them to be nice to me and to each other. So they were really struggling to be nice to each other. I did some scrapping this weekend. I made a mother's day card but forgot to take a photo before I gave it away! (I'm a dork) and I did some DT projects. You will see one of them tomorrow along with a new "Week 3" GIVEAWAY. So be sure to stop back by tomorrow. I'm off to Carson City on Wednesday with my daughter. We are going on an overnight field trip to Carson City and Virginia City. It should be a fun filled whirlwind tour. See you tomorrow. Oh I almost forgot to remind you - you only have one more day this week to join in on my Week 2 Customer Appreciation Giveaway. And I have a Blogiversary Giveaway going on right now that you aren't going to want to miss out on. There are links to both giveaways on the upper right sidebar. Bye! May 8th Customer Appreciation Giveaway!!! Are you ready for another weekly giveaway from Crafter's Companion?! This week I am giving away a set of 4 Rock A Blocks and a Popcorn the Bear stamp set (our choice). 1. Be a follower of Crafter's Companion Informational blog. 2. Be a follower of Crafter's Companion USA blog. 4. Leave a comment here on this post. That's it! This giveaway ends on Tuesday May 15th, 8pm PST and I will post the winner's name on May 16th. (You must be a US Resident to win.) The winner will have until May 22th to email me at scrapwithstacy(at)gmail(dot)com with their full name and mailing address. If you do not, you will forfeit your prize. Good luck to everyone!! We will still be giving away wonderful stuff on each of the blogs of our Design Team members each week. (you can find the links of the other Design Team members on the sidebar of Crafter's Companion Informational blog and on the sidebar of the Crafter's Companion Challenge blog. There will also be giveaways on the Crafter's Companion Informational blog and on the Crafter's Companion Challenge blog each week. AND they will be giving away an Ultimate Tool EVERY DAY THIS MONTH to a random person who purchases something in the Crafter's Companion online store!!! Can you tell they are feeling generous this month??! Want to see a card I made using a cute SWALK stamp?? Here is what it looks like when you open up the card. I think it turned out pretty cute and I like the interesting card shape. 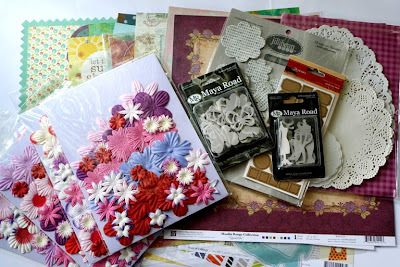 Have you entered the May Flower challenge on the Crafter's Companion USA Challenge blog yet?? They are giving away an Ultimate Tool for the monthly prize. You know you want to win one of those bad boys!! I use mine every time I scrap. Seriously. Okay enough from me for now. Wax Museum Etc. Etc. Etc. My 2 Year Blogiversary Giveaway!! !